Practice Social Skills, Making Friends, & More! For students in 4th-6th grade. 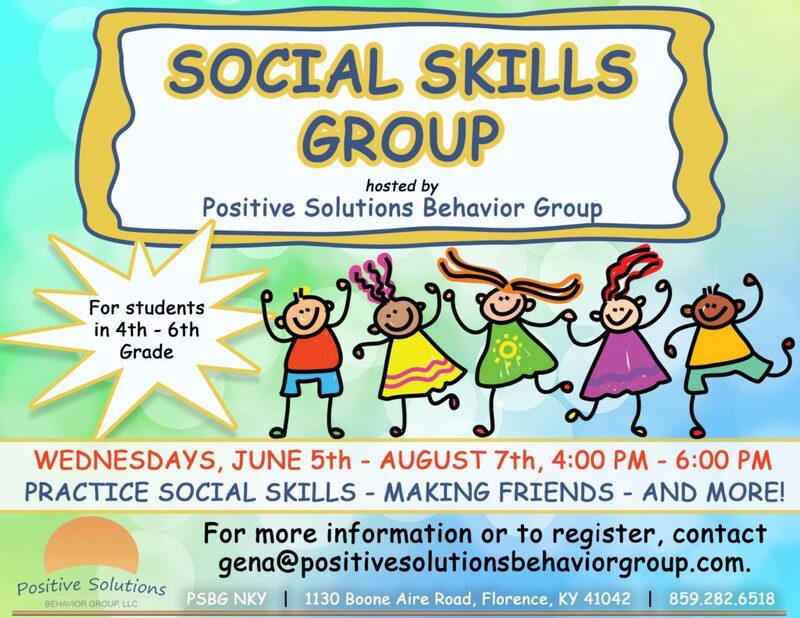 Fore more information or to register, contact gena@positivesolutionsbehaviorgroup.com.